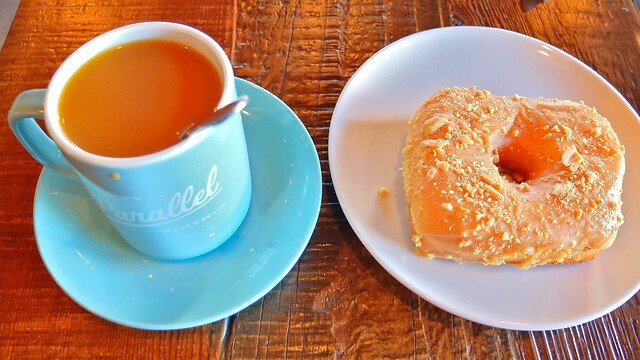 Coffee and sweets at Lucky's Doughnuts and 49th Parallel Roasters Café on Main Street in Mount Pleasant on August 20, 2012. 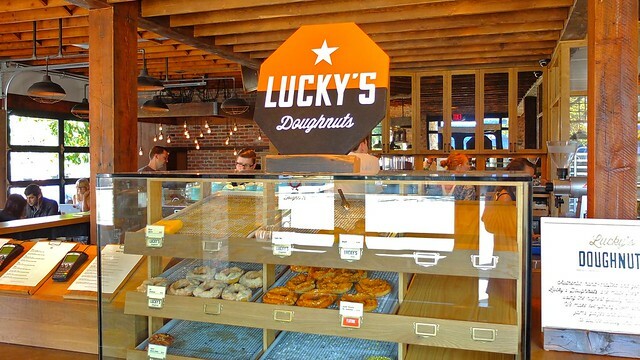 I made it to the still relatively new Lucky's Doughnuts window inside its shared Mount Pleasant space at 49th Parallel for some caffeinated beverages and premium doughnuts. I sampled a bunch of different offerings. I thought the coffee cake (middle) was quite good and moist with a tasty consistency (although on the small side). 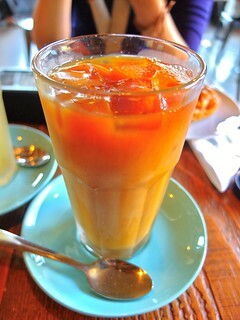 The iced coffee was a tad sour, but otherwise had a good, refreshing flavour. 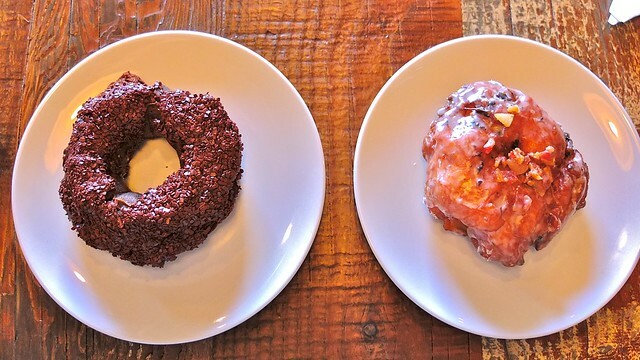 The old fashioned chocolate doughnut was like eating a triple chocolate cake. I liked it, but it was quite rich and decadent. The best part about the bacon apple fritter was the bacon. Otherwise, I thought it was pretty standard and decent as far as fritters go. 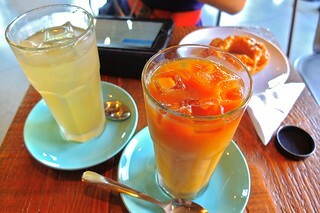 The strawberry and apple iced tea seemed refreshing enough. 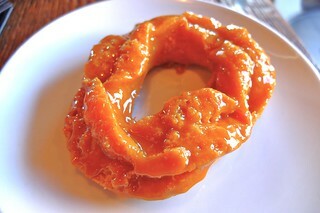 I really enjoyed the salted caramel glazed old fashioned doughnut. 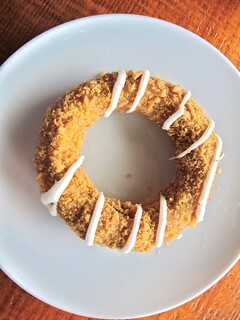 It was a tasty, sticky treat and not too sweet. I enjoy their varieties for coffee of the day. Also, the peanut butter and jelly doughnut eats like an actual sandwich itself with a gooey PB&J goodness. There’s an eclectic selection of baked goods and treats here. It makes for a good cafe experience with a vibrant space to relax. 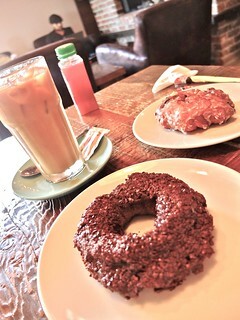 The doughnuts proved quite decadent and the coffee flavourful.